The American Society for Clinical Pathology (ASCP) announced its 2017 Choosing Wisely Champions on September 8 during a special session at the ASCP 2017 Annual Meeting in Chicago. The Choosing Wisely Champions program is designed to recognize clinicians who have gone above and beyond to make significant contributions to advance the ideals of the Choosing Wisely campaign by working to reduce overuse and unnecessary tests and treatments in medicine. 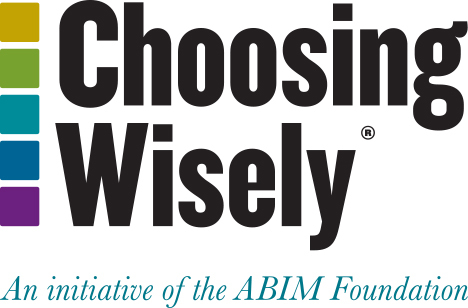 This is ASCP’s second year participating in the Choosing Wisely Champions program in collaboration with the ABIM Foundation. 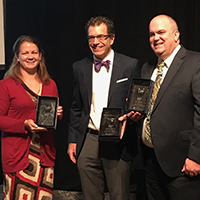 During the special session at ASCP 2017, the top three winners, Jack Jordan, MA, Meghan Kapp, MD, and Christopher Polage, MD, gave presentations about their work. Jordan, Director of Performance Excellence and Quality at Henry Ford Health System, has worked to make the utilization of laboratory services evidence-based, safer and compliant with Choosing Wisely recommendations. He provided insights and actionable information about laboratory and clinical data to guide the laboratory utilization task force. Dr. Kapp, pathology resident and Chief Resident at Vanderbilt University Medical Center (VUMC), served as a founding member and co-chair of VUMC’s Choosing Wisely steering committee. She worked to educate house staff and faculty about the potential harm of daily labs, encourage discussions of lab results and the need for future labs during rounds and provide data feedback with peer comparisons. This helped VUMC achieve its goal of fewer than 60 percent of inpatients receiving daily labs. Dr. Polage, Assistant Professor of Clinical Pathology and Director of the Clinical Microbiology Laboratory UC-Davis Medical Center at University of California, Davis, published peer-reviewed research that contributed to the Infectious Diseases Society of America’s (IDSA) Choosing Wisely recommendation for clinicians to avoid testing for a Clostridium difficile infection in certain situations. His “STOP C. difficile Project” lowered the rate of hospital-acquired C. difficile in the 10 participating units at UC Davis Medical Center by 30 percent compared to baseline data.